Being active during pregnancy can help regulate your blood pressure, keep excessive weight gain down, increase circulation helping with swelling and cramps, and create a strong and functional core and pelvic floor in preparation for birth. If you are suffering from pelvic girdle pain or back pain, I can help you to manage this. Having a baby is hard work on the body! This is why it is essential you start slowly by rebuilding connection to your deep tummy muscles and pelvic floor. 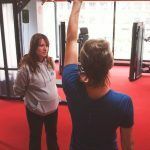 From there we can safely build your fitness back up whilst helping with divarification (tummy separation), pelvic floor dysfunction and back pain/SPD/PGP. 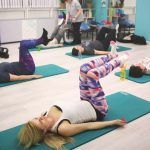 Pilates as an exercise form is low impact and focuses on the mind–body connection. 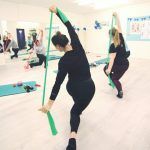 By using specific movements, the body can develop strength, flexibility and tone which is why it can be very beneficial to those with injuries whilst providing even the fittest with a challenge. Each session is designed to make you feel better and to work towards your goals. I use a holistic approach, combining multidisciplinary skills to sessions and programs. I don’t believe in sticking to plans and will often adapt sessions to accommodate how you are feeling that day. Are you a new or old mum? Do you feel your pelvic floor isn’t what it used to be? Do you worry about accidents in the gym? Are you looking to improve your tummy muscles? 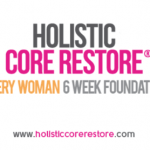 If you answered yes to any of these, then Holistic Core Restore® is for you! This low impact HIIT (high intensity interval training) class will help you to burn calories, lose fat and tone up. 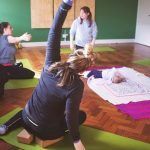 Whats more it’s safe for those with minor pelvic floor issues, who’ve recently had a baby or have injuries.